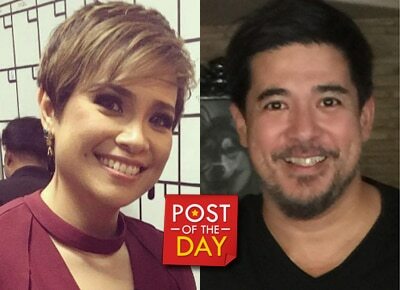 Aga Muhlach posted a birthday greeting for Broadway star Lea Salonga on Instagram. Lea is celebrating her 46th birthday today, February 22. "Happy birthday to this sweet, thoughtful, workaholic (where do you get your energy?!) dear, dear friend of mine! Proud of you! Have a good one! Cheers!" he wrote in the caption of his post. Lea and Aga worked together in the 90s hit films “Sana Maulit Muli” and “Bakit Labis Kitang Mahal.” The two were slated to have a reunion movie in 2016 but due to schedule conflicts, it has been pushed back to a later date.